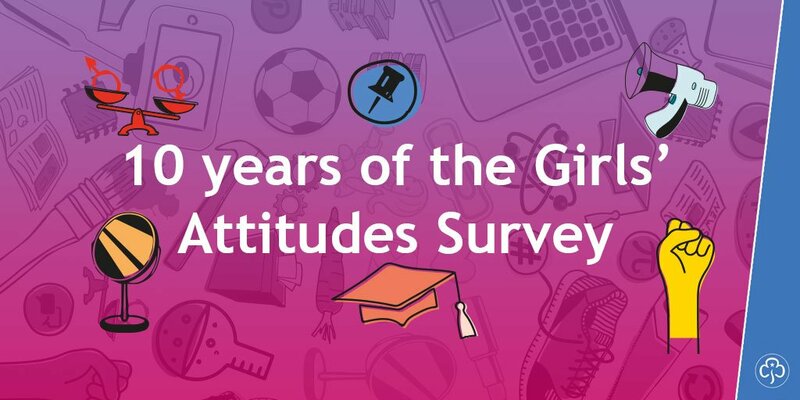 2018 marks ten years of the Girlguiding UK Girls’ Attitudes Survey. The survey asks girls and young women aged seven-21 their opinions on growing up as a girl. Within the survey questions are split into seven categories: education, leadership, aspirations and role models, appearance pressures, happiness and wellbeing, social action, safety and socialising and growing up as a girl today. A decade of research has revealed a change in girls and young women’s attitudes towards body image and diet. Less 11 to 16 year olds who completed the survey wanted to lose weight, skip meals or had been on a diet. Despite this, 30 per cent said they would consider cosmetic procedures like botox and there was an increase in girls and young women who would have cosmetic surgery. For the first time, the survey asked girls and young women for their opinions on periods and sanitary products. More than two thirds said that menstrual products should be provided free to young people who can’t afford them. More than half said that they had heard boys make insulting jokes about girls and their periods while 21 per cent agreed they had been made to feel embarrassed and ashamed about their period. These changes in attitude could be down to a number of factors: an increase in female role models, a more diverse range of women appearing in the media or a bigger conversation about gender equality in the public eye. Read the full Girlguiding UK Girls’ attitudes report here. Do you agree with the results of the survey? Let us know on Twitter and Instagram.